Disguised as a relaxing beach vacation, there are plenty of exploration opportunities here for our adventurers. Bring your sun tan lotion, comfy hiking clothes and swimming gear as you discover nearby islands and hiking trails in this summer Paradise. 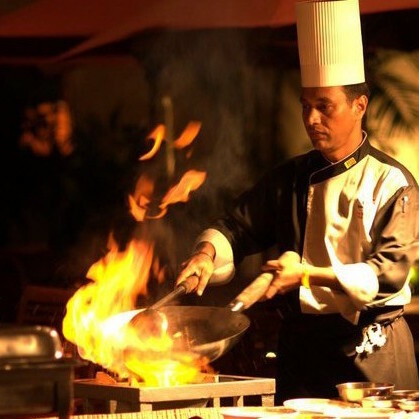 After a tough day of adventuring, retreat to your beach resort and spa sanctuary, and dine like a Sri Lankan king. 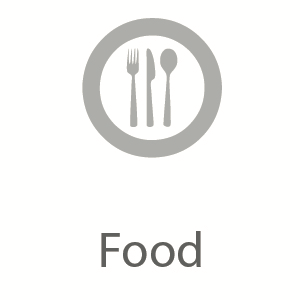 Delicious meals included. 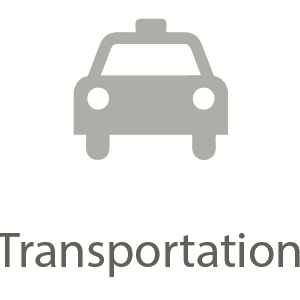 After your flight to Colombo, after picking your bags, you will be welcomed by your private chauffer with cold, refreshing coconuts. This will be your first of many #instagram moments. Windows down, wind blowing through your hair, you'll get a taste of the perfect dichotomoy of island chaos and the lazy pace to set the tone of the rest of the vacation here on paradise. Bentota was the first National Holiday Resort developed by the Ceylon Tourist Board as a planned resort. 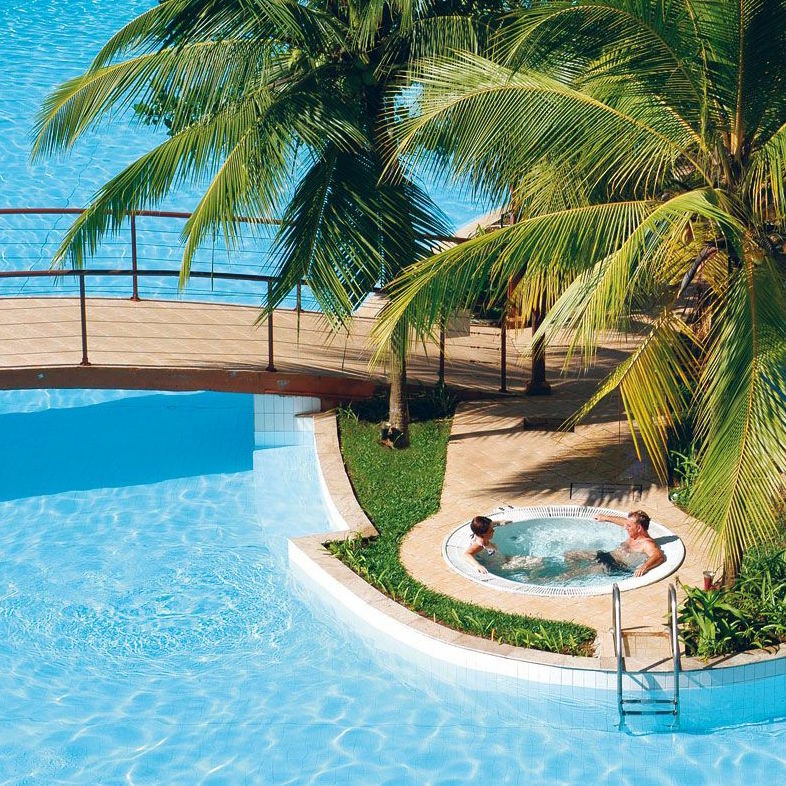 There are 6 tourist hotels in the beach span of 5 miles with water sport facilities, pools, exquisite restaurants and several interesting activities nearby. 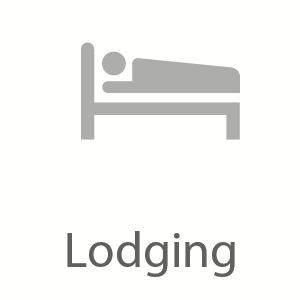 Check in to your hotel, and have your first King-style meal on the island. 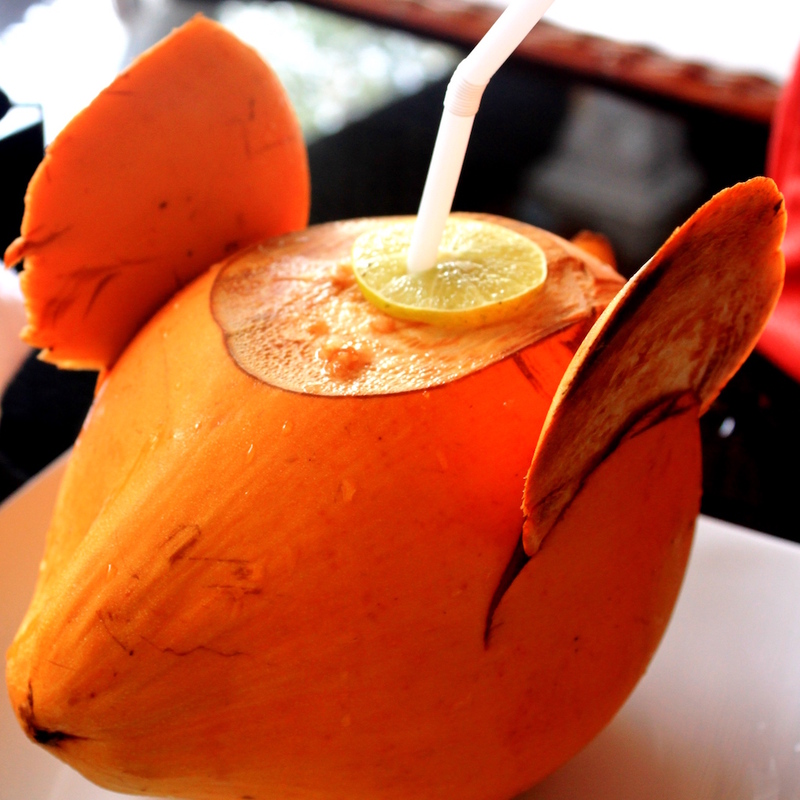 Refreshing King coconuts on arrival. Tonight you'll eat like a King. 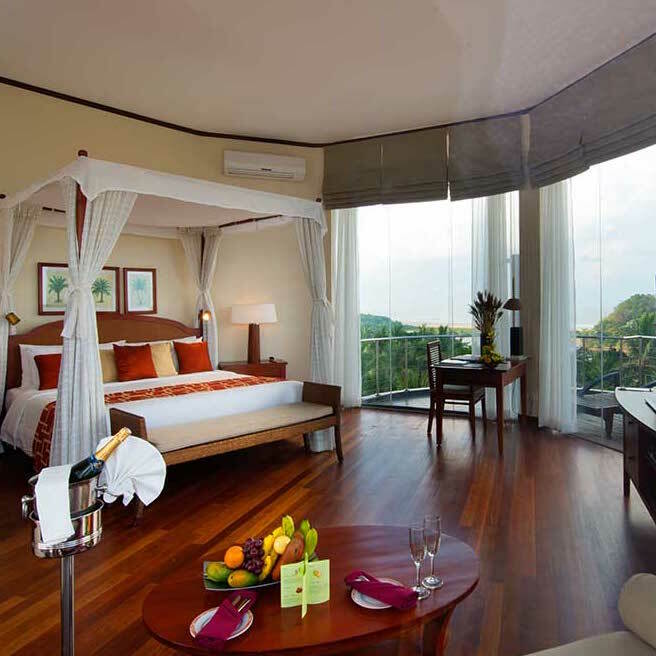 Luxury suite, with beach view. The next few days would be perfect if you did absolutely nothing, just relaxed by the pool, visited the beach and dined like a king. 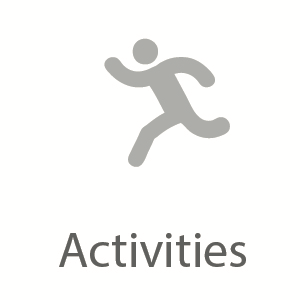 But we're going to ensure you have plenty of adventures to choose from so you won't have reason to feel bored! There are plenty of water sport activities on this stretch of beach, and you can choose to do them any of the days during your stay. Just let us know when you book. Your Sanctuary for the next week. 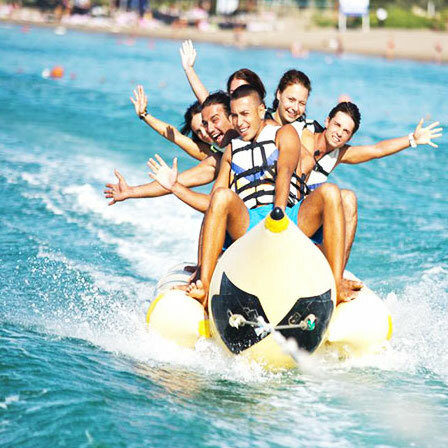 Will you stay on the "Banana" boat? 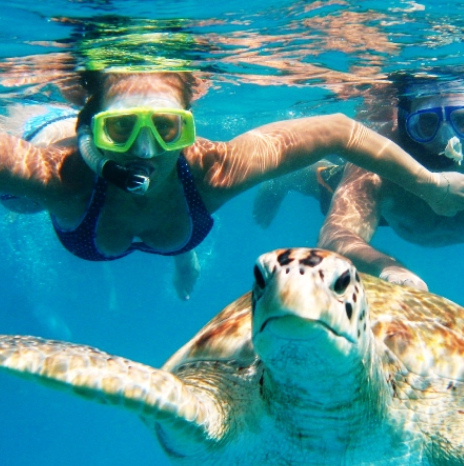 Snorkel up to a Turtle. 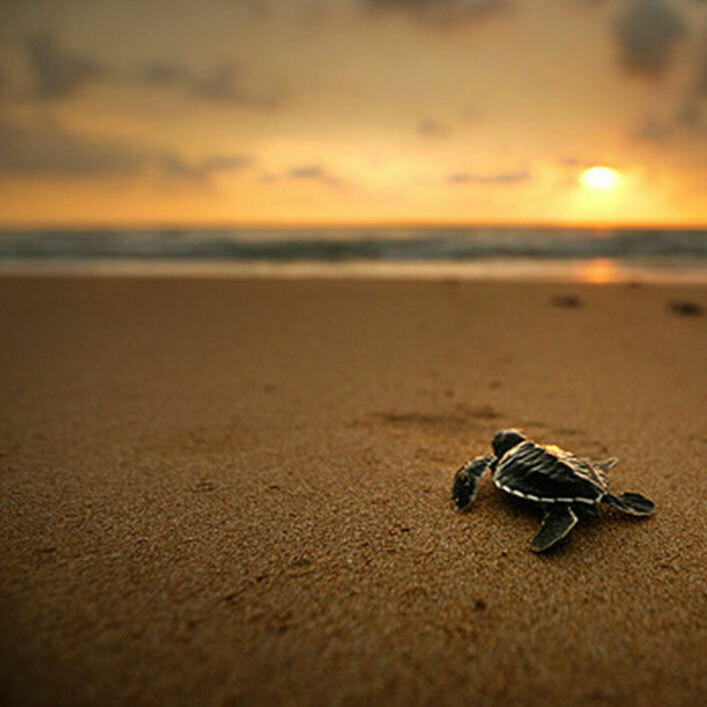 This part of Sri Lanka is home to a species of turtle that come to the sea shore to lay their eggs. These female turtles are at least 30 years old! They lay their eggs on the sea shore at night, and tend to lay their eggs on the same beach they were born. In a single sitting, the mother can lay as much as 120 eggs at a time. Their eggs are white, similar to Ping-Pong balls. The eggs are kept damp by the female turtle by emitting a juice to cover the eggs. After laying eggs these turtles go back to the ocean. The eggs hatched with the help of a protective coating left behind by the mother, and the warm sand. Little 2" turtles pop out after about 60 days and find their way to the ocean to continue the cycle. If you're lucky you'll get to see this miracle of life, if not that's fine - you'll be able to meet all the turtles at the local turtle hatchery. 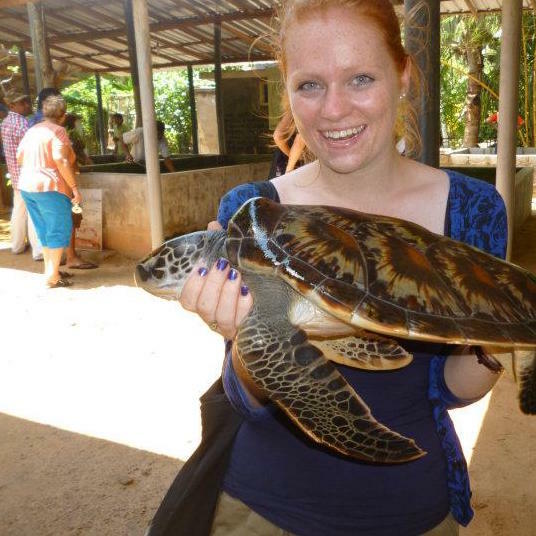 Open since 1988, the Kosgoda Turtle Hatchery monitors local sea turtle activity and conserves local nesting sites, while also running a hatchery for collected and rescued eggs within the sanctuary of the project. 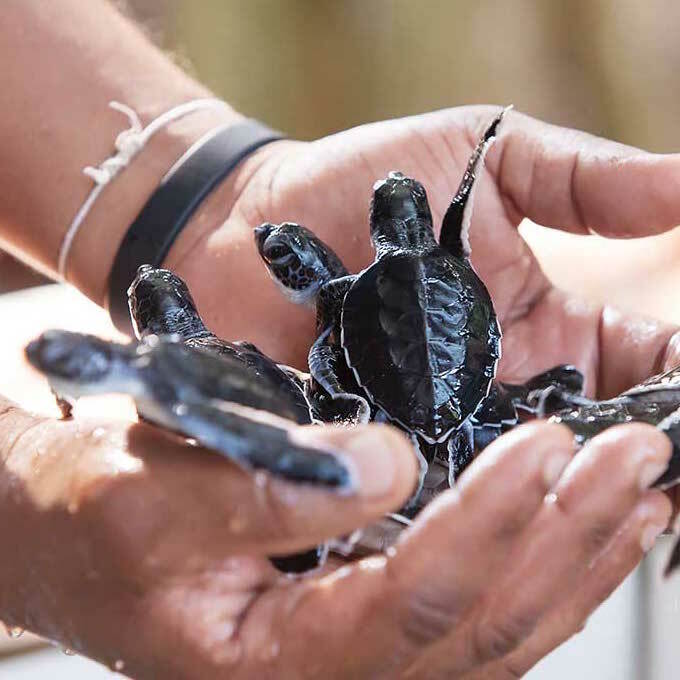 A visit during the day will earn you some quality time with the adorable little turtle hatchlings, but the real deal is around 6:30pm, when the release of the hatchlings takes place. The staff at the Hatchery will pick out the ones fit for release and guide you along the way. A handful of baby turtles. Get up close and personal with a turtle. Guide the little hatchlings back home. 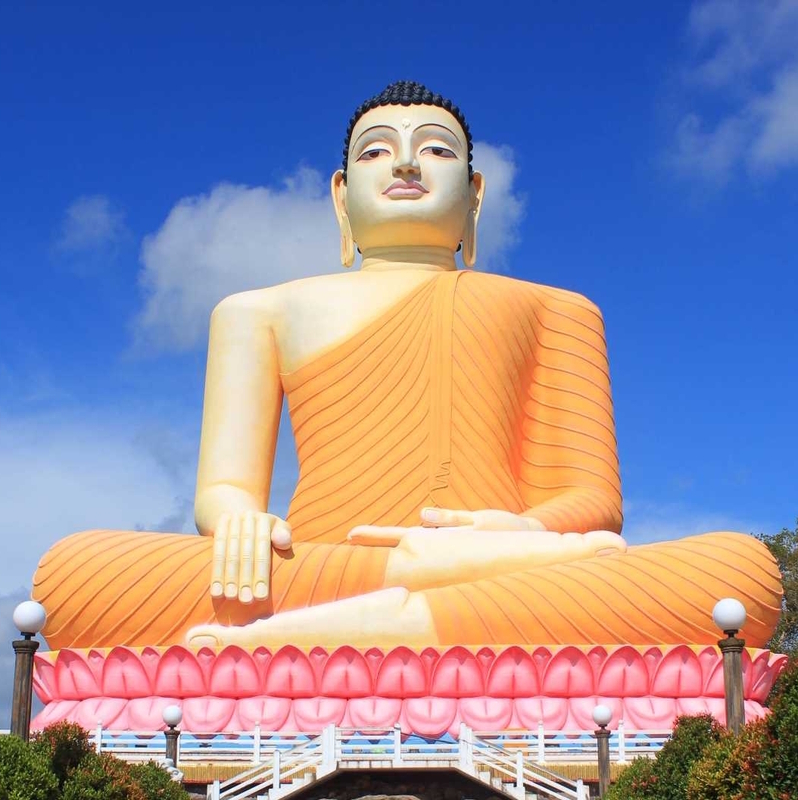 Today you'll head to Kalutara which is about 12 miles away from Bentota. First stop is the centurty old Richmond Castle. It is one of the most spectacular architectural works of the period. 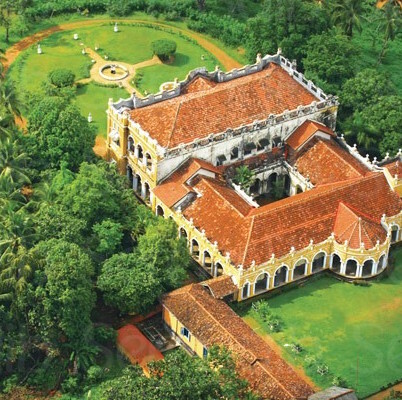 The castle, standing on a 42 acre estate, was owned by Padikara Mudali Nanayakkara Rajawasala Appuhamilage Don Arthur de Silva Wijesinghe Siriwardena - yup, that's a super long name! He was the Mudaliyar (big boss) of the Kalutara District during the early 1900s. It is now a historic site open to the public by the Public Trustee Department, who also runs a children's home within. Next we'll go to the 1734 Kande Viharaya situated atop a hill. 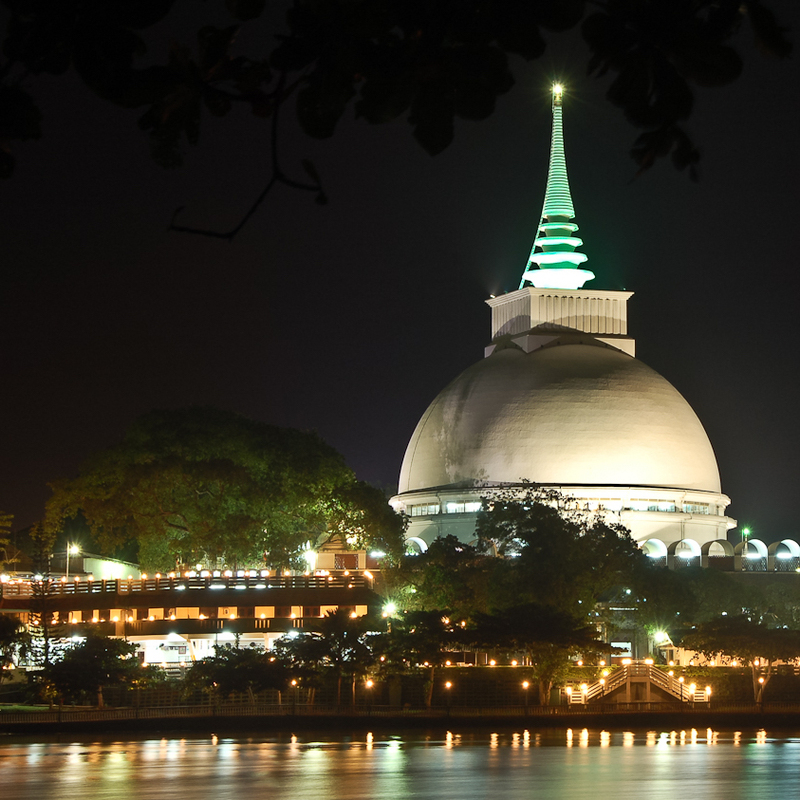 Thousands of devotees flock daily to the temple, more so on Poya days (full moon days). The temple is complete with the essentials of any temple: Stupa, Bo Tree, Relic Chamber, Image House, Sri Vishnu Maha Devala and the four Maha Devalas including Kataragama Devale. Don't worry - your guide will show and explain everything. When visiting a temple, just be aware to not wear sleeveless tops or bottoms shorter than your knee. Alternatively, cover your shoulders and thighs with a shawl. Also remember to take off your shoes, or headgear when entering a temple. Last stop - the Kalutara Bodhiya, one of the most famous sacred shines in Sri Lanka and home to one of the 32 saplings of the famed Anuradhapura Sri Maha Bodhiya. The hollow dagaba houses some interesting paintings. The hill top Kande Viharaya. Visit the Bodhiya (Buddhist Temple) before heading back. 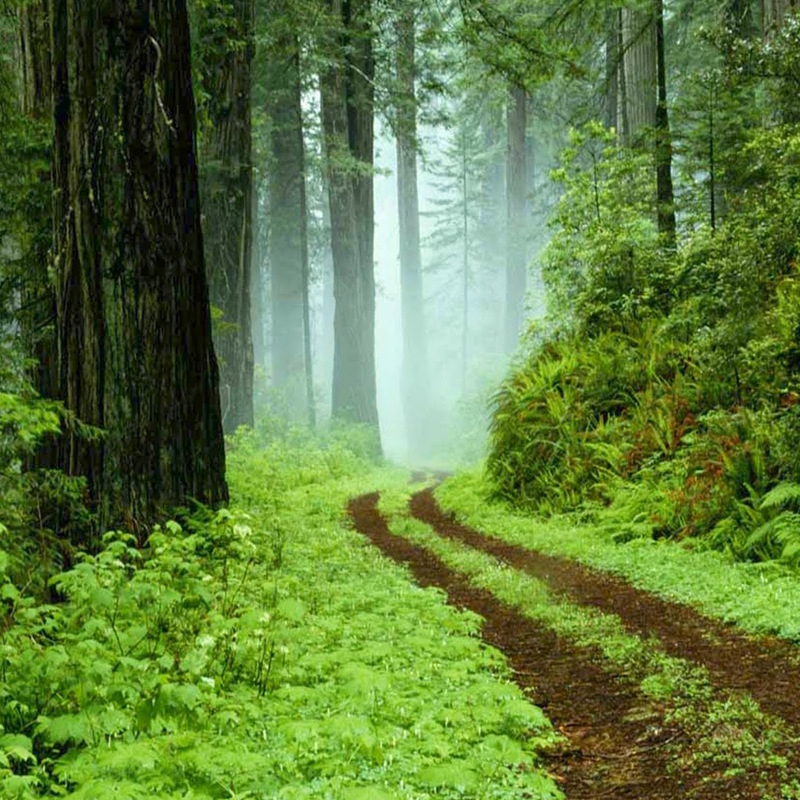 The Sinharaja Forest Reserve, a World Heritate Site, is the best-known biosphere rainforest reserve in Sri Lanka. It is well worth a visit to to explore some new hiking trails as well as burn off those calories you've been accumulating at the resort :) The forest is surrounded by several rivers as well as the Beverley Tea Estate. Sinharaja translates to "lion king", as lions used to roam this forest. 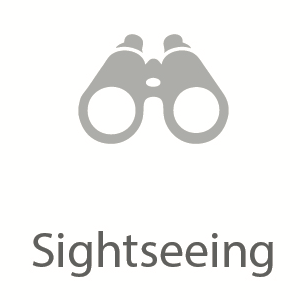 Unfortunately no more, but you'll find a variety of endemic flora and fauna. Sinharaja has the benefit of both monsoon seasons. Rainfall is regular during the south-west monsoon (May-July) and the north-east monsoons and November-January, except February when the conditions are dry. As we personalize this trip for you, ask us about the gear you should pack. 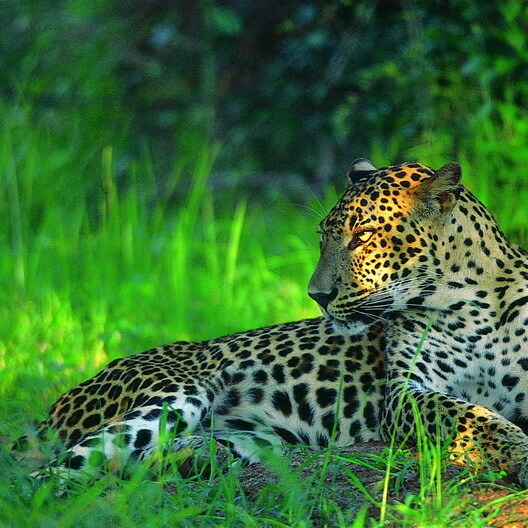 Also, let us know if you would like to go on a tour to spot a Leopard (extremely rare in this park). 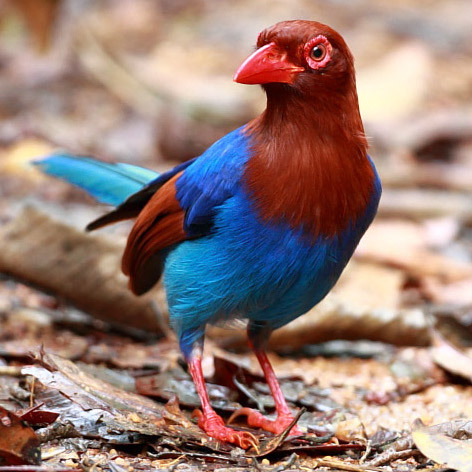 The Unique Sri Lankan Blue Magpie. Extremely rare to spot with only 15 in the park. Day 6 is for a river safari. The Madu ganga (river) is located in Balapitiya, 12 miles away. This wetland spreds over 900 heactares of area. There are 64 islands on this river, some inhabited and others not. This tour will take about 3 hours and it'll be best to bring plenty of drinking water, sunscreen and a hat. 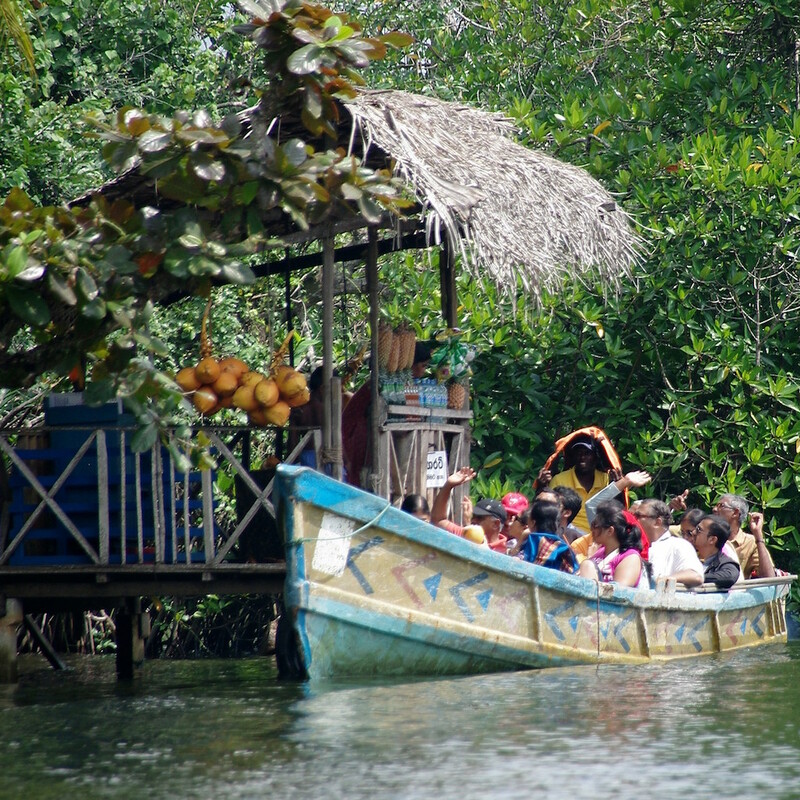 You'll find interesting sights, like a King Coconut seller operating directly on the river (waterworld anyone? 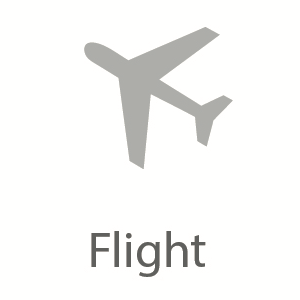 ), several mangrove forests, temples and birds. 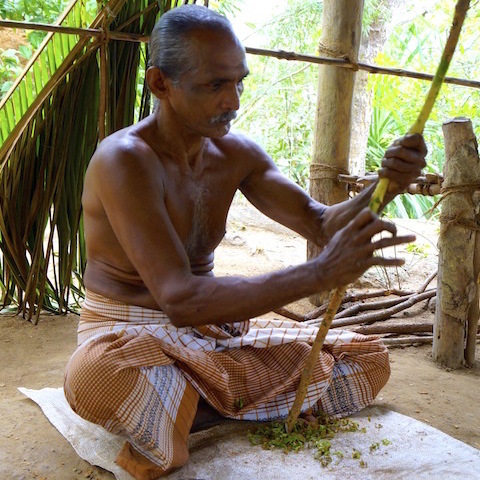 The main occupancy of villagers in this area is fishing, while some traditional industries continue to thrive, such as cinnamon processing. 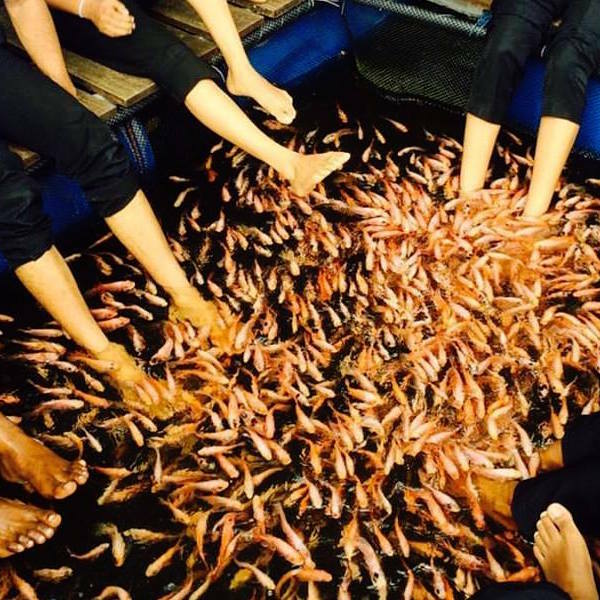 A favorite stop on this tour is fish therapy for your feet! Stop for a King Coconut. Cleanse your body with a fish manicure. It is the last day on the island, and should be a perfect time to relax and wind down as this trip in paradise comes to a close. 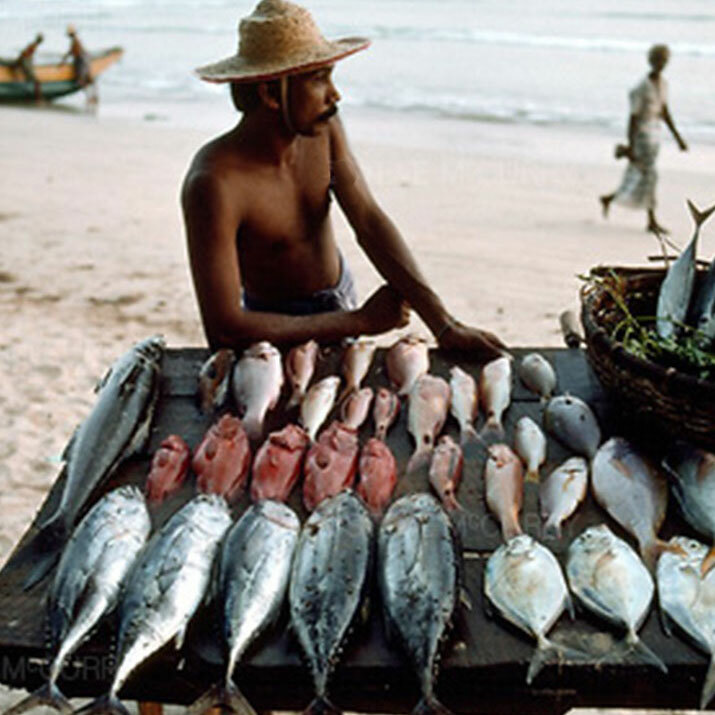 Take a walk down Beruwala fish harbour and perhaps even come across a fishmonger. Visit the city for some last minute shopping before you head back home, and come back again next summer! 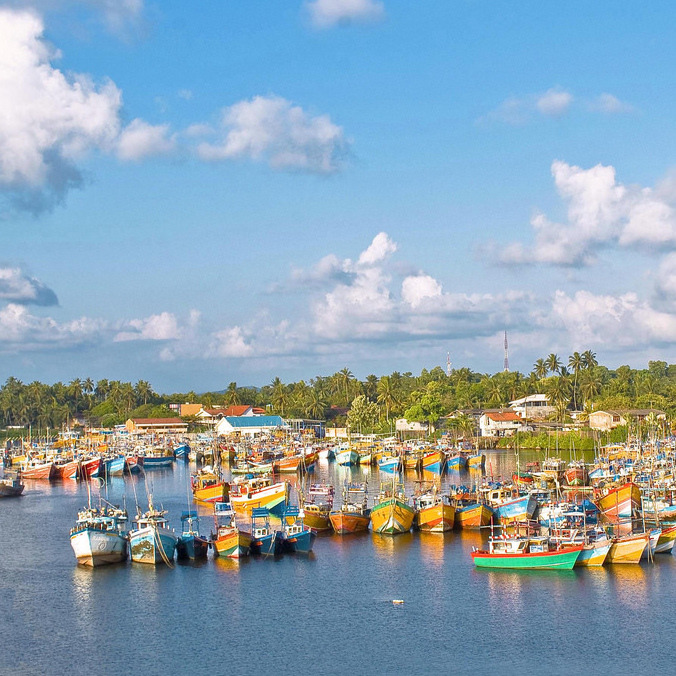 Take a stroll by Beruwala Harbour. 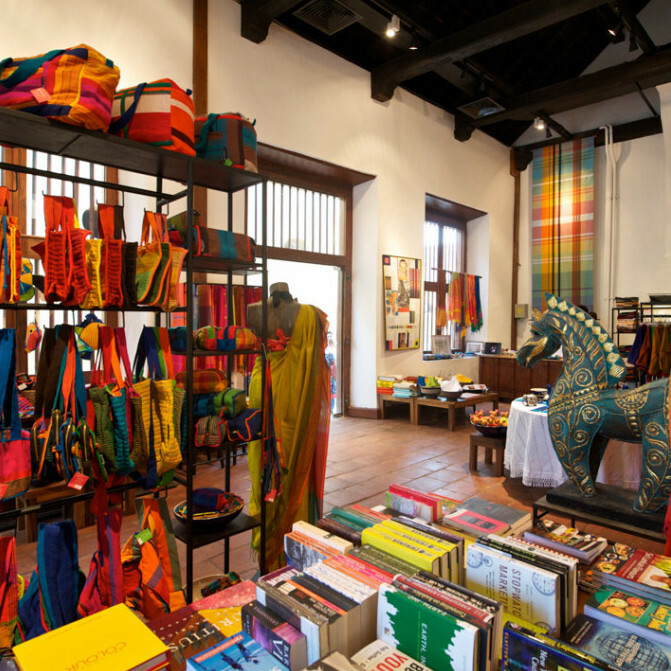 Stop by Colombo's best shopping.